Open Sesame: Beniotome - Kampai! : Kampai! 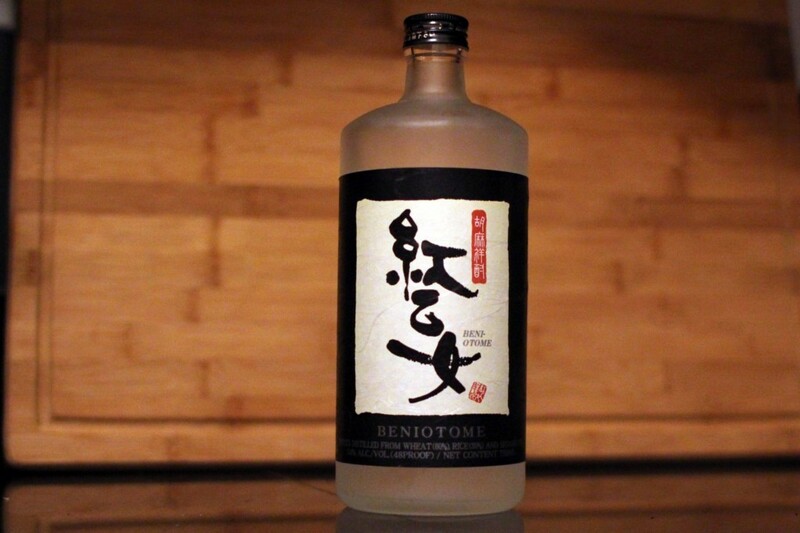 Beniotome claims to be the only spirit in the world distilled from sesame seeds. This is probably true, because, of course, sesame seeds don’t hold a lot of sugar. Fortunately for us, the seeds are not the primary distillate – barley and rice in the mash provide the sugars (and alcohol) while the roasted sesame seeds provide a completely unique drinking experience. 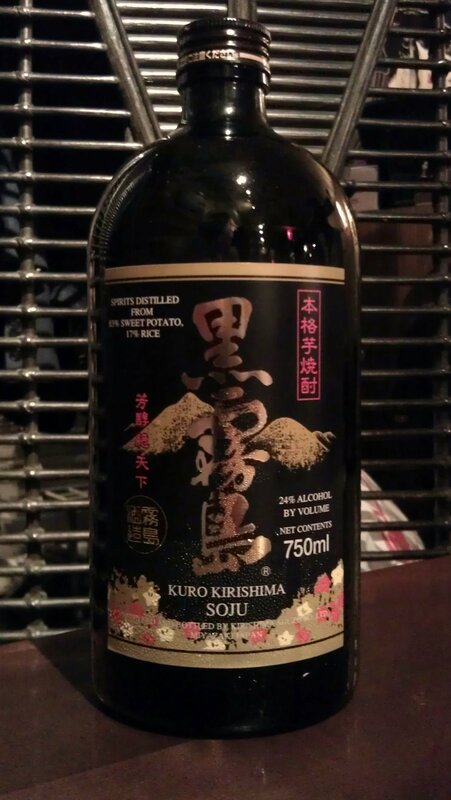 I’ve had nut flavored vodkas and liqueurs – and that’s the only type spirit I can remotely compare this to. 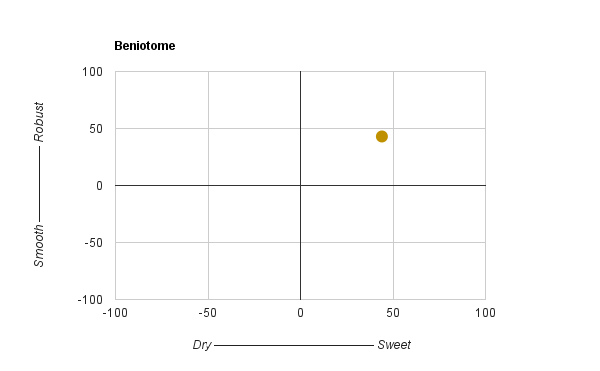 Yet that is unkind to Beniotome, which has a complexity and roundness that you don’t find in flavored vodkas. Those tend to be too sweet with little character. That’s precisely the opposite of the Beniotome experience. The pronounced nose of roasted grains coalesces around toasted sesame, reminiscent of black sesame ice cream. In fact, that’s what I crave as I sniff the glass. The initial taste is surprisingly neutral, but that quickly gives way to a rich sweetness of full-on toasted sesame. A smooth, mellow mouthfeel slides into the finish of peanut butter. It’s completely unique in the shochu world and you’d be hard pressed to find a spirit of any kind that rivals its nuttiness without the sickly sweet of the flavored abominations. I enjoy Beniotome neat or with a touch of water (mizuwari), but I bet it will make a hell of a cocktail in the right hands. Much like the carrot based Akanone, which I initially dismissed as a gimmick, Beniotome has won me over as a legitimate honkaku shochu with all of the character of the traditional grains, but with a singular roasted flavor that provides an unmistakable drinking experience. Don’t get me wrong. This isn’t something I’d drink every day, bur rather enjoy as a digestif. Beniotome is a luscious treat. Like a bowl of black sesame ice cream without the guilt. The Beniotome is absolutely delicious, a unique and beautiful character. I make cocktail with it called Shochu Pop. Thanks for the recipe. What are the ratios for the Shochu Pop cocktail? Top with approx. 2.5 oz of yuzu soda (carbonate 45% Yakami Orchard yuzu juice with 55% good water) and stir to integrate. Express and garnish with long blood orange peel down the side of the glass. For the blood orange shrub, I first make a blood orange peel oleo saccahrum, layering blood orange peel with turbinado sugar. The next day press blood oranges, add juice and champagne vinegar (a touch less vinegar than blood orange juice) to the blood orange oleo saccharum, cover and refrigerate for 6 – 12 hours, then stir well with peel to dissolve sugars completely. Use tongs to fish out peel and bottle shrub. the soft toasted sesame wafts through the nose and into the pallet. smooth even when consumed straight, I’ve introduced this beauty to my co workers from all over the world (italian, tibetan, chinese, american, puerto rican etc) and has been a definite crowd pleaser for those new to shochu as an example of exemplifying an ingredient in a spirit, and still cozy and comfortable flavor to happily return to again and again. a definite favorite for me. Kumesen was our first Awamori. We’d read about these unique Okinawan spirits and were drawn to the artfully drawn lion-god on the stout bottle. As our first, it still stands up as what we expect from the style, though we’ve come to learn that Awamori can be as diverse and complex as single malt scotch. There is no one flavor that captures the essence of these full bodied, traditionally distilled spirits.